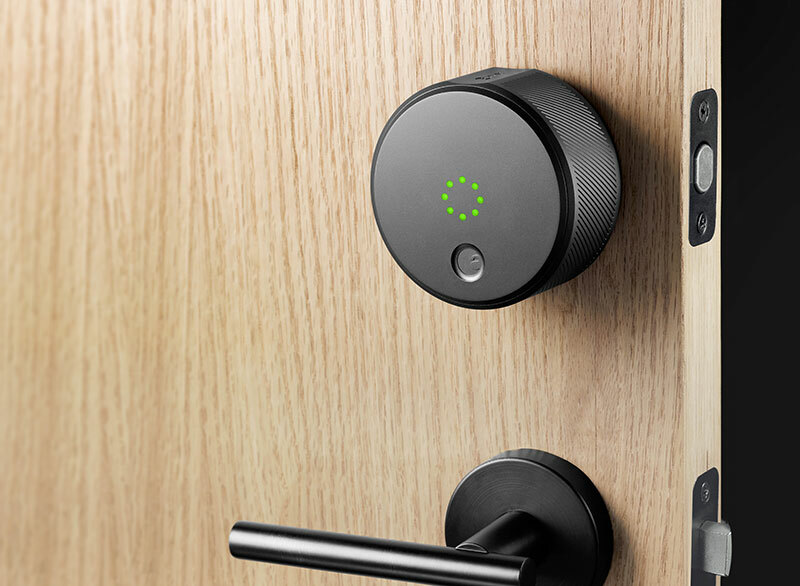 The August Smart Lock offers a whole new way to secure your home. Instead of using keys to open the door you can use your smartphone! The hardware is very straightforward and consists of a “smart” lock that replaces your current lock. Using a friendly application, you can enable different people to enter your home and they don’t need a key. The solution is very secure and lets you easily keep track of who entered your home. The lock is also very aesthetic and is made from anodized aluminum. You can choose from four great colors- white, red and light and dark grey. Overall this is a discreet and elegant lock that introduces a whole new level of home security. With this smart lock you don’t have to worry any more about loosing keys or having someone copy your code. 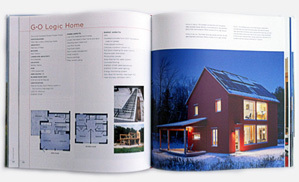 You can also give access to your home for a limited period. For example you can give your cleaning person access for a limited time each week or give a visiting family member access for a week. Bluetooth technology synchronizes your phone with the lock. It will work even if your WiFi is down since it is powered by 4 AA batteries. You can install the lock in about 10 minutes. Its dimensions are 3 1/4 inches in diameter, centered over your existing deadbolt hole, and less than 2 1/4 inches tall.